Paradoxically, the need to defend yourself has also meant that defence has also been a key driver of many economies and the need for a winning edge on the battlefield has made the military a source of great innovation. An uncertain geopolitical environment and complex future means that the need for national defence will remain. And militaries globally perform valuable roles in aid relief, humanitarian aid, disaster recovery and peacekeeping. The question is not what the military is or for, but could defence become an incubator for emerging disruptive technologies? Nobody wants their business to be disrupted but the military works in the ultimate disrupted marketplace. Could new partnerships and linkages between the business world and national defence forces allow pre-emptive strikes to be made to leverage and maximise the benefits of disruptive technology? Defence has always been a testing ground for new technologies to be prototyped and trialled, but could the sector also work with businesses to do the same with emerging disruptive technologies before being launched into the mainstream consumer world? In the 2014 movie, The Imitation Game, set in World War II, a group of British code-breakers race against time to crack the Enigma codes, a machine used by the Nazis to send encrypted messages. While the jury is still out on the movie’s accuracy, the fact is that it is a wonderful example of innovation and disruptive technology being used to give an advantage strategically. The British are credited with developing the first electronic computer as a means of breaking the code. It was a pivotal moment in history, one that contributed in no small way to the outcome of World War II. During the Gulf War, coalition forces took emerging advances in electronics to improve targeting systems to produce the precision weapons that proved so devastating against Iraqi forces, completely disrupting traditional ways conflicts had previously been fought. For generations, conflicts have not only provided the mise en scène for displays of the application of disruptive technologies, but have been the driving force behind their development in the bid to reinforce military capabilities. Business has long drawn lessons on leadership and business tactics from the battlefield. 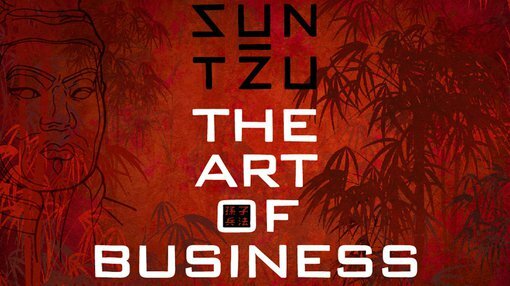 Take Chinese military general Sun Tzu’s Art of War for example ‒ written more than two thousand years ago, the book remains the Holy Grail of leadership inspiration for industry leaders. Its tenets on thinking about the problem are early examples of design thinking. But what about the invaluable lessons on innovation that could be gleaned from war? Defence has always forged strong partnerships with industry to identify and be an early adopter of new technology. But what if new types of partnerships were to be forged between industry, government and the defence industry, who’s to say a new frontier in innovation wouldn’t be breached? If World War I was characterised by rapid advancement in technology, World War II was the war most defined by it. So much so that its impact would echo decades into the future. At the core of these advancements was a mathematical, scientific and technological wizardry. New inventions and the advancement of scientific principles form the basis for inventions we couldn’t do without today. Rocketry that was pioneered in WW II would later lead to the building of the rockets that propelled the Apollo spacecraft to the moon. Then there’s the radar system. The radar system uses radio waves to determine the range, angle or velocity of objects. It’s now widely used ‒ air traffic control and weather forecasting are just two examples of its application. Not forgetting the household item most of us couldn’t live without: the microwave. The appliance was developed post-war after it was discovered that microwaves transmitted from radar equipment during WWII could also cook food. The military has always been at the forefront of technology. The Global Positioning System (GPS) is yet another example of this. Bringing an end to the age-old point of contention in many relationships by helping men save face without having to stop to ask for directions, the GPS has become an integral part of life as we know it. Yet its origins hark back to the 1970s, when the US Defence Department set up a network of satellites. Defence is a major part of many national government’s spend and effective national defence is a priority in this complex world. Is there a new way of extracting wider national value out of this investment, and how can nations use investment in national defence as an incubator for a strong defence sector that acts as a stimulator for economic growth and an ideas incubator? And does size matter – is innovation in defence only the prerogative of the superpower? A country that has dominated the technology sphere is Israel. Underpinned by a long tradition of close relations between the various arms of the Israeli Defence Force (IDF) and the state, the nation has spearheaded numerous advances in weaponry, including deploying the first armed unmanned boat for surveillance and protection. The country’s research and development industry has also been driven by the state, engendering a culture of impressive innovation. In fact, the IDF has served as an incubator for a number of founders of high tech companies. Outside of Silicon Valley, Tel Aviv has more start-ups per capita than any economic hub in the world – one of which birthed the USB flash drive. Israel presents a strong argument for a marrying of state resources dedicated to defence research and development and innovation incubators. Could this be the recipe for a wildly successful innovation industry? Technology has – and is – disrupting every industry, from entertainment to infrastructure development. This is compounded by the fact that with the growth of technology and associated costs, licensing, collaboration, joint ventures, mergers and cross-ownership suddenly begin to look far more attractive. Concurrently, the lines between technology and purely military applications versus wider application is blurring. This has seen the boundaries and responsibilities between the military and it’s supporting defence industry and partners increasingly blur. If the military has become dependent on industry, how can industry leverage that to gain a competitive edge in other sectors? In the midst of this, governments are grappling with very real challenges, racing against the clock to meet their development goals and future-proof their cities. It’s the perfect storm: a convergence between government, the defence industry and industry partners is as inevitable as it is necessary. This presents an opportunity for the three to leverage each other to find solutions in transport, energy, health, education and other spheres. It’s the logical next step for industry to spark a revolution of a different kind. Instead of responding to technological disruptions, industries need to be at the vanguard of innovative technologies. The innovation war will be won by those who dare to press on to the next frontier and beyond. The resultant technological gains could set industry up for immeasurable success.